I've just found out about Steve Jobs passing away and I'm stunned. I wouldn't say I was totally surprised – after all, Jobs had been suffering from ill health for some time, but it's still a shock. It's almost unbelievable that it's so soon after he stepped down from being CEO. 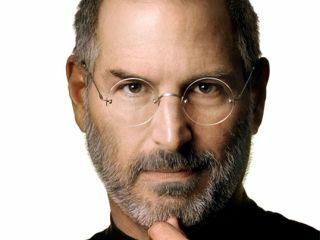 Jobs decided to relinquish his role of CEO in August after first being diagnosed with pancreatic cancer in 2004. He had been the recipient of a liver transplant in 2009 and is survived by his wife and four children. He died peacefully surrounded by them. Various TV news channels seem concerned with whether Apple will continue on the same tack. It will, of course, and although the shadow left by its former CEO will loom large, Apple's future seems assured. Here, I think we should focus on what Jobs gave us. And for that, there's one voice more qualified than the others. Bill Gates. Gates and Jobs on stage at the All Things Digital conference in 2007 is one of my all time favourite moments in tech. Two giants of technology, two different but sometimes similar paths. But still a shared appreciation of each other's strengths and what each had brought to the industry. "For those of us lucky enough to get to work with him, it's been an insanely great honour," said Gates. "Steve and I first met nearly 30 years ago, and have been colleagues, competitors and friends over the course of more than half our lives,"
"I'm truly saddened to learn of [Steve's] death," he said. "Melinda and I extend our sincere condolences to his family and friends, and to everyone Steve has touched through his work." Jobs founded Apple with Steve Wozniak and released the world's first so-called PC, the Apple II. He was a perfectionist and kept to his ideals – he didn't want Apple products on the market if he didn't believe in them. He didn't bow to commercial pressures. He wasn't on his own though; as my colleague Patrick Goss says, Sony founder Akio Morita was "renowned as a man with a spark of genius and the capacity to change his company's direction if he thought it appropriate." This guy went against the recommendation of his engineers to put the Walkman on the market. Jobs' 2005 Stanford commencement speech was, according to our writer Gary Marshall, "typically Jobsian, smart, funny and serious". "Have the courage to follow your heart and your intuition," Jobs said, explaining how his cancer diagnosis had affected his world view. "They somehow already know what you truly want to become. Everything else is secondary." I think that, in time, Jobs will be remembered as the guy who invigorated the mobile phone market with the iPhone - he certainly gave its competitors something to think about. We wouldn't have Windows Phone 7 without the iPhone. Would we have Android? It's doubtful. Apple certainly also reinvented the MP3 player market with the iPod in 2001, but because of the explosion of the phone as an entertainment device, that may be left as a footnote. What cannot be in dispute is that he returned to Apple in 1997 after the acquisition of NeXT - when it was virtually bankrupt - and completely reinvented the company. Over the last decade-and-a-half, Jobs' stewardship has seen Apple produce one of the most stunning comebacks in business history, culminating with overtaking Exxon Mobil as the world's most valuable company in August. As Gary Marshall said then, it was the beginning of one of the most incredible chapters the technology industry's ever seen. "On his first day back... he asked executives to tell him what was wrong with the stricken Apple. After some mumbled replies, he jumped in: 'It's the products!'" And it was the products he reinvented. The original iMac was first, followed by the iPod in 2001. But it was in January 2007 he really made us rock with the original iPhone announcement. I remember being at CES in Las Vegas when the Macworld press conference was ongoing.Suddenly everything else seemed like dust. That was an incredible moment. I can't describe how different it felt from everything that had gone before. It made me sit back from my laptop and simply think: everything has changed. It showed that Jobs cared about what products looked like. He cared about how people used them. He was a brilliant guy and his legacy will be felt, as Gates says, for "generations to come."